SafeHouse Denver was born out of the community’s desperate need for an emergency shelter for women and children living with domestic violence. Community professionals were working with large numbers of women on a variety of issues, and found that the underlying problem was actually domestic violence. However, there was no safe place for these women to go to escape the violence in their own homes. There was also no language with which to truly articulate their experiences. SafeHouse Denver assists adults, children, and youth in reclaiming their right to a life free from domestic violence. The agency was established in 1977. Our first shelter opened in 1978. SafeHouse moved to our current shelter in 1989, doubling the bed capacity. A capital campaign enabled SafeHouse to retire the shelter mortgage in 1991. SafeHouse opened our Counseling Center in 1993, furthering our ability to provide non-residential counseling and support services to abused women and their children. 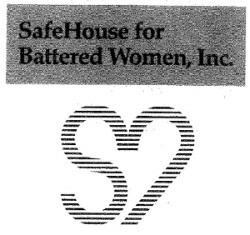 In 1994, SafeHouse for Battered Women changed its name to SafeHouse Denver. In 2000, SafeHouse Denver and the University of Colorado at Denver collaborate to start the Women’s Entrepreneurial Training Program. This program taught women skills to start their own businesses, not only helping to build practical job training but also building invaluable self-confidence for program participants. SafeHouse Denver opens new Counseling Center offices at 1649 Downing Street. In 2005, Denver Triage Project brings together law enforcement, Denver District and City Attorney’s offices, SafeHouse Denver, Project Safeguard, Denver Domestic Violence Coordinating Council and AMEND to improve outreach and justice processes. SafeHouse works with focus groups to create messaging and promotional materials specific for youth, the African American community and the LGBT community in 2007. In 2010, SafeHouse officially starts serving male victims of domestic violence at the Counseling and Advocacy Center. SafeHouse answers a record 18,793 crisis line calls in 2011 – an increase of nearly 75% since 2008, the beginning of the economic downturn. SafeHouse Denver celebrates 35 years of life-saving services for survivors of domestic violence in 2012. Agency launches 35th Anniversary Fund to create seed funding for an Extended Stay facility for shelter residents in need of more time to secure housing and employment. Fund was matched, dollar-for-dollar, up to $35,000, by The Pioneer Fund. 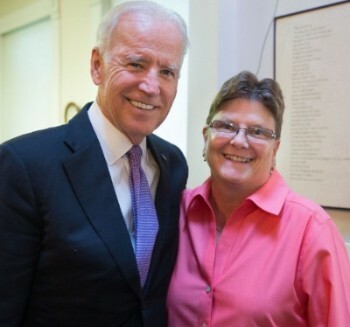 In 2014, SafeHouse Denver has the distinct honor of hosting Vice President Joe Biden for a roundtable discussion on domestic violence. The invitation to host was extended by Mayor Michael B. Hancock. The Vice President’s visit came on the heels of the 20th Anniversary of the Violence Against Women Act, which changed the way our country responds to domestic violence and sexual assault. The Rose Andom Center, Colorado's first family justice center to serve victims of domestic violence, officially opens its doors in 2016. In addition to our existing programs and services, SafeHouse Denver has an advocate on-site full-time to assist survivors seeking counseling and shelter services. 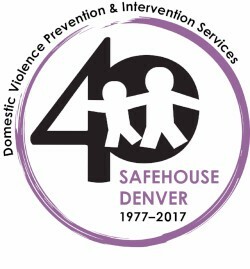 In 2017, SafeHouse Denver celebrated 40 years of service to the community and reported: providing women and children with more than 333,000 nights of shelter; serving over 41,000 adults, children and youth at our emergency shelter and non-residential counseling center; answering over 405,600 calls to our 24-Hour Crisis and Information Line; and benefiting from over 62,250 volunteer hours since its founding. At the end of this milestone anniversary year, SafeHouse Denver successfully reached a $1.2M capital goal to purchase a six-unit apartment building and build an operating reserve for its new Extended Stay Program. This 10-year vision was finally realized in July of 2018 with the opening of its Extended Stay Program, the final step in SafeHouse Denver's continuum of care for survivors of domestic violence. This facility offers qualifying shelter residents up to three months of secure housing, providing them with valuable time to secure permanent housing, employment, child care and other resources needed to achieve stability. SafeHouse Denver was one of the first battered women’s shelters in the nation and played an essential role in the community’s efforts to build systemic support for victims of domestic violence. This is a role SafeHouse continues to play today. The first step was to bring the issue into public consciousness. In doing so, society has come to acknowledge the problem’s existence and to develop the language, dialogue and services with which to address it. Although we are sometimes frustrated that greater progress has not been made, it is important to remember that as recently as 1964, courts in the United States were still ruling that states should not interfere in cases of domestic “chastisement” but should leave the parties to themselves to make up. SafeHouse Denver is the only agency in the City and County of Denver providing both emergency shelter and non-residential counseling and advocacy services exclusively serving women, children and youth who are survivors of domestic violence. We target our programs to meet community need and as a result have made it mandatory that certain staff are bilingual in direct response to the large number of monolingual Spanish-speaking women and children who access our services each year. Despite the growth in our programs, there continues to be a pressing need for domestic violence services. On average, we refer over 3,500 requests for safe shelter to other resources because our shelter facility is completely full. Affordable child care, mental health services and the lack of affordable housing continue to be barriers to our clients’ capacity to move forward to self-sufficiency in a timely manner.